~+~ Our Protection Candle: is a sensory blend of Frankincense, Sandalwood, Rosemary, Clove. When the time is right to visit your sacred space, allow us to enlighten the journey. Each of our herbal magic candles has been designed with a specific intention using a unique blend of essential oils. Measuring 1.5″ x 7 inches tall, they are long lasting with a burn time of 80-100 hours. 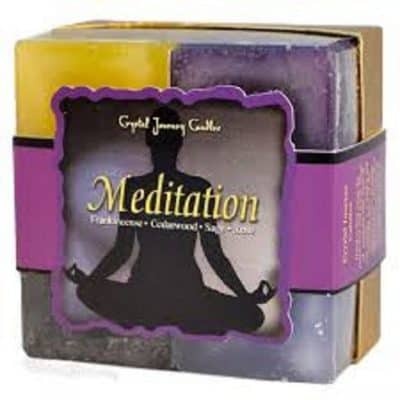 Each candle comes with an affirmation and inspirational message to help you bring your wish to fruition! ~+~ Shungite Energy Water: cleanses, neutralizes, regenerates, eliminates and absorbs all that imposes a hazard on living beings and have been cherished over the centuries to guard against the “evil eye”, repelling negativity. Misting Shungite water helps combat stress and the pollutants in our environment, two things that adversely affect our health. 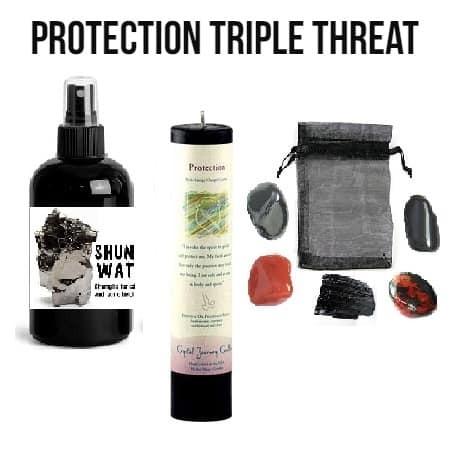 This powerful mist contains cool filtered Shungite water charged with fullerenes minerals creating EMF protection, purifying air and enhancing positive energy. Shungite is even beneficial to animals. 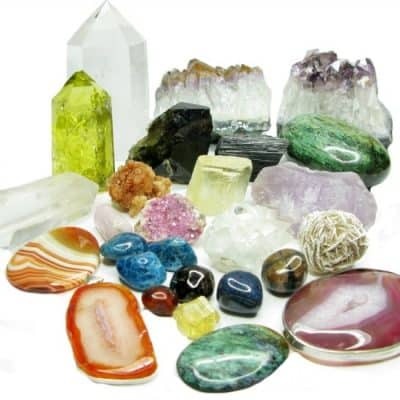 ~+~ Protection Crystal Pouch: these stones and crystals have held a historical reference for being used for protection for centuries. They have been place in doorways, around homes and on farmland. Their significance is based on their long standing history and use from keeping away evil to thwarting enemies. 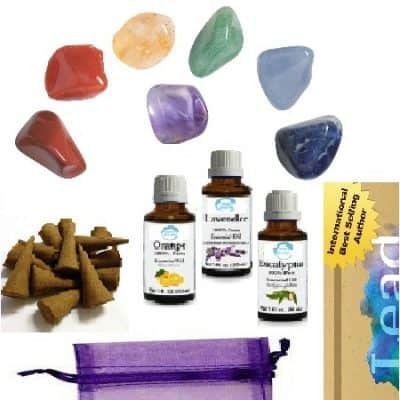 This pouch includes Bloodstone, Carnelian, Hematite, Obsidian, and Tourmaline.